Get Delicious, Superior Nutrition From Real Organic Whole Foods - In ONE Minute A Day! 11 of the world’s most powerful superfoods, perfectly balanced and blended with your optimum health in focus. 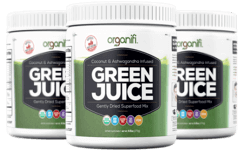 Take control of your health today with Organifi Green Juice. Detox Your Body With REAL Superfood Science! Superfoods have more nutrition packed into smaller spaces than regular foods.1 They work synergistically – that means they make each other stronger. And with the right combination, they can make your body goals a reality. Contains all the essential amino acids – the building blocks needed to grow, repair and maintain cells. This anti-aging powerhouse can help balance blood sugar levels, and may help to prevent a number of serious health issues. A green algae super high in protein and healthy polyunsaturated fats. Loaded with nutrients and rich in vitamins, minerals, and chlorophyll, daily consumption of chlorella has been linked to a lowered risk of cardiovascular problems. A good source for plant protein! Antioxidants, iron, amino acids, potassium, calcium, and a list of other nutrients are overflowing from this small, unassuming powder. Great for the body and even better for the brain! Stuffed with potassium, iron, vitamin C, magnesium, calcium, manganese, folic acid, zinc, and more. Helps boost stamina and keep your skin looking fresh and youthful. Contains the antioxidant EGCG which reduces stress, regulates hormones, and reduces appetite. This calming tea was once known only to ancient Japanese monasteries – particularly good for the liver and blood detoxification. The "life-blood" of plant life – with an unprecedented amount of nutrition per serving. One ounce of wheatgrass is equivalent to eating two pounds of fresh greens! The high amount of chlorophyll delivers a big blast of nutritional value. An adaptogenic herb that helps modulate responses to stress or a changing environment. It helps regulate your energy, and lowers your cortisol levels by almost 30%. May also stimulate the growth of new cells! This Indian spice can help your body in more ways than can be listed here. From relieving daily aches and pains to improving digestion and energy, everyone can benefit from turmeric. Contains powerful antioxidants and is being studied for use in fighting serious diseases. Surprisingly, the simple lemon is one of the most overlooked superfoods. It works to cool and alkalize the body, keeping you protected from disease and feeling refreshed. It has great appetite suppressing effects as well! Mother Nature’s Sports Drink! High in potassium, great for detoxing your kidneys - AND it helps transport all of these other ingredients throughout the bloodstream. Only the purest ingredients - without fillers or artificial flavors! No more constant trips to the market for fresh produce. No chopping, peeling or dicing. And no messy clean-up! 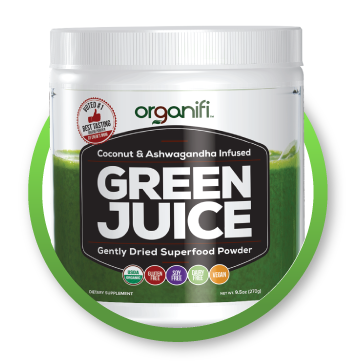 A scoop of Organifi delivers real superfood nutrition and convenience! It takes less than a minute to stir up a scoop in some water. Juicing has never been simpler. Just stir a scoop into a glass of water, milk, or milk substitute first thing in the morning (on an empty stomach) to encourage alkalization. 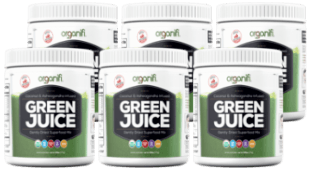 How Does Organifi Green Juice Taste? We Took It To The Streets To Find Out! We know you’re going to love your new Green (Red) Juice. 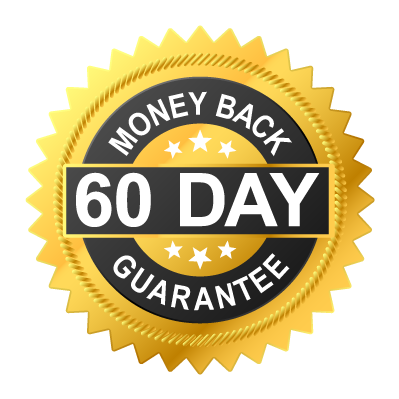 That’s why we confidently offer a 60 day money-back guarantee – no questions asked. You have a full 60 days to try Organifi at home. If you don’t like it, for ANY reason, all you need to do is send it back. We’ll refund you every cent. Even if you just don’t like the taste. Even if you send back an empty bottle! That’s how confident we are that you’ll love your new Green (Red) Juice.